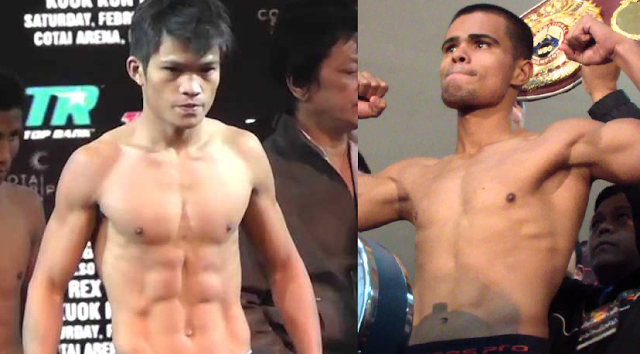 Current IBF World super flyweight champion Jerwin Ancajas is set to defend his title against the Mexican boxer Jose Alfredo Rodriguez on January 29, 2017, in Macau. Ancajas with the record of 25W(16KO)1L will defend his title for the first time after he won his title against McJoe Arroyo last September 2016 via UD in Manila. Ancajas is currently promoted by MP Promotions of Manny Pacquiao. This will be his time to shine and there's a lot of big fights awaits for sure. Ancajas known as a hard-hitting boxer, and only defeated once via Majority Decision against Mark Anthony Geraldo in 2012. On the other hand, Jose Alfredo Rodriguez is a 27 years old Mexican boxer with the record of 32 wins including 19 victories by way of KO and has only 4 defeats. Rodriguez is coming off a split decision victory over Edwin Rodriguez last December 10, 2016, to win the vacant Universal Boxing Federation (UBF) All-America super flyweight title. Rodriguez once fought for the vacant WBA world lightweight title but loses to Kazuto Ioka of Japan in 2012. Also fought Milan Melindo in 2013 but also lost via UD.